"In Hollywood I'm viewed as a lawyer, judge or doctor, and that's what I've concentrated on." 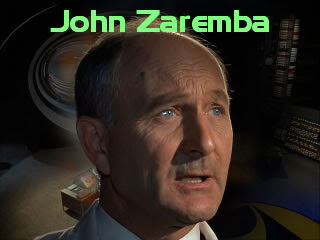 Born in Chicago Illinois, John Zaremba is best known as an American actor who mostly had supporting roles in science fiction films and TV series. 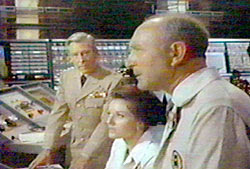 He is probably best remembered as a regular cast member in the Irwin Allen 1960s science fiction series The Time Tunnel (ABC-TV). 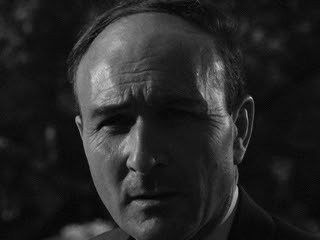 Prior to acting, John Zaremba was a journalist for the Grand Rapids Press and Chicago Tribune newspapers until 1949, when he moved to Hollywood to try to become a full-time actor. The first three years involved Zaremba making minor uncredited appearances, until in 1953 he was cast in a supporting role in the sci-fi film, The Magnetic Monster. 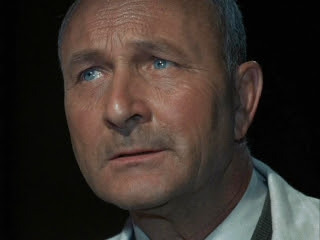 From then on Zaremba, would appear in numerous 1950s sci-fi films, such as the classic Earth vs. the Flying Saucers (1956), usually playing the role of a scientist working to prevent extraterrestrial threats to humanity. Throughout his career, Zaremba appeared in many non-sci fi films and TV series such as I Led 3 Lives in which he played an F.B.I. 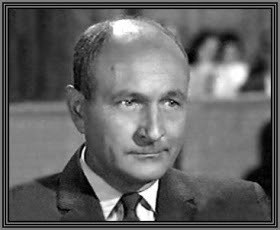 agent; Perry Mason; Ben Casey; Bonanza; Get Smart. and finally as Dr. Harlen Danvers in Dallas. John Zaremba was married to Eleanor and they had three children. He died on December 15, 1986 in Newport Beach, California, USA. "Anything that creates faith is a miracle"